Liverpool have once again been linked with Pierre-Emerick Aubameyang amid speculation linking the striker to a January exit. The Reds have been dubbed long-term admirers of the Gabon striker, with Jurgen Klopp’s spell in charge of Aubameyang at Borussia Dortmund fuelling talk of a reunion. 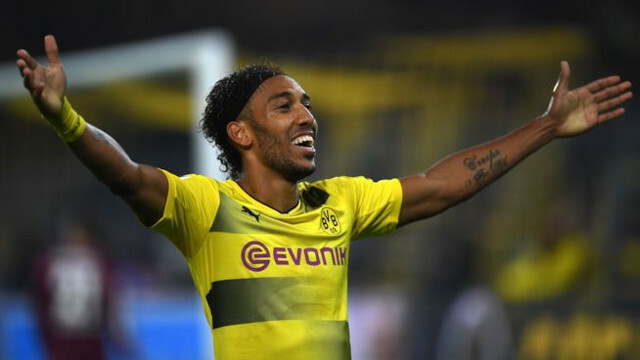 Aubameyang boasts a record positioned amongst Europe’s elite forwards having scored 96 Bundesliga goals since arriving in Germany in 2013- 11 of which have come this season. Dortmund are prepared to sell the 28-year-old in the upcoming transfer window if they receive a fee of £54million, according to German outlet Bild. Aubameyang was sent off at the weekend as Dortmund relinquished a 4-0 lead to draw 4-4 with Schalke. Despite Liverpool’s proven attacking power, a number of Reds remain keen on seeing Klopp acquire an orthodox centre-forward in aid of adding a more clinical finisher in front of goal. Doubts over the Reds’ conviction emerged during the club’s tough start to the season, in which Roberto Firmino found himself struggling for goals. Nonetheless, Mohamed Salah has partially compensated for a string of missed opportunities by cruising to 15 goals in his first campaign on Merseyside. Aubameyang marks a tempting opportunity if available, but perhaps the kind of opportunity Klopp wouldn’t be looking towards until next summer. The priority this January will be bolstering the defence the club failed to adequately strengthen ahead of the new season.